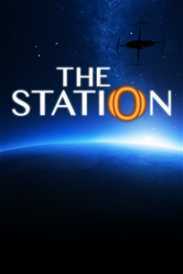 You will receive an e-mail alert when the price of The Station will drop. •	A World of Augmented Reality - The future holds a progressive attitude towards how information is stored and shared. Technology has gone through a digital revolution and conversations, notes and even computers are experienced in full Augmented Reality. Ranging from personal to professional, these AR logs will let players explore what was taking place on-board. •	Intuitive Problem Solving - When a door won’t open, what will you stop at to discover what lies behind it? The secrets on-board the station will resist being uncovered and you must rely on your ability to identify and solve intuitive but subtle problems - The Station itself is a puzzle to be solved. •	Piece Together a Living Story - We believe the best stories are shown not told. Each room and space will have a unique moment to share if you look close enough – as the story unravels each detail will begin to fall into place. For the keen eye, a rich story awaits.